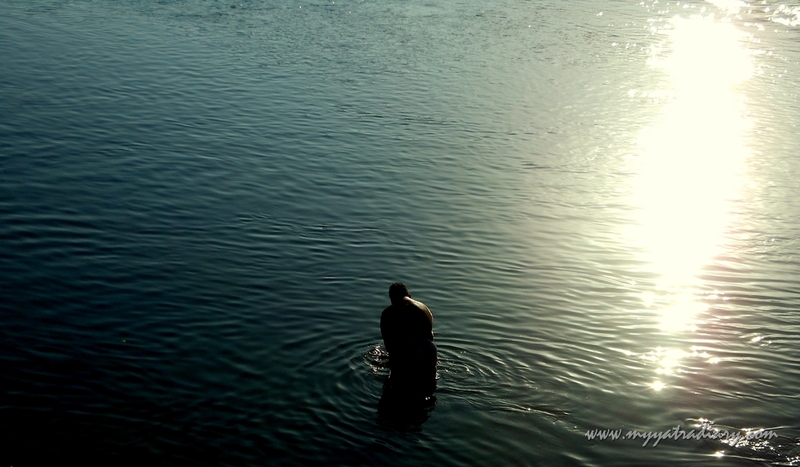 Soulie Saturday #18: A Dip in Mother River Gomti, Dwarka. to all of life's questions. This post is part of an ongoing series called Soulie Saturday on My Yatra Diary... a spiritual exploration of that which is Unseen and a celebration of that Ultimate sacred space we yearn for - within and without - and the riches we carry in our own hearts. Click on the preceding "Soulie Saturday" link to view all posts in the series, or visit the initial overview post that inspired me to start this series here. Loved your Soulie Series posts. Thank you for sharing your Soulie Series. Such a lovely place to take a dip and it looks so refreshing. These posts are just wonderful and have so much go say in so few words!